This is the homepage of the Parish of Kildysart – part of the Diocese of Killaloe. We are located in South Clare on the shore of the Shannon estuary. Our parish is centred on St Michael’s Church and is a vibrant community. Somebody once described a parish as a “family of families” and that description certainly sits well with us here in Kildysart. People are supportive of each other and the good of the community is central to daily parish life. Our site is intended to be a source of information about our parish for locals and visitors alike. We hope that you may find these pages informative and supportive. We welcome your suggestions. Prayers for our departed loved one will be offered in our cemetaries during the month of November. 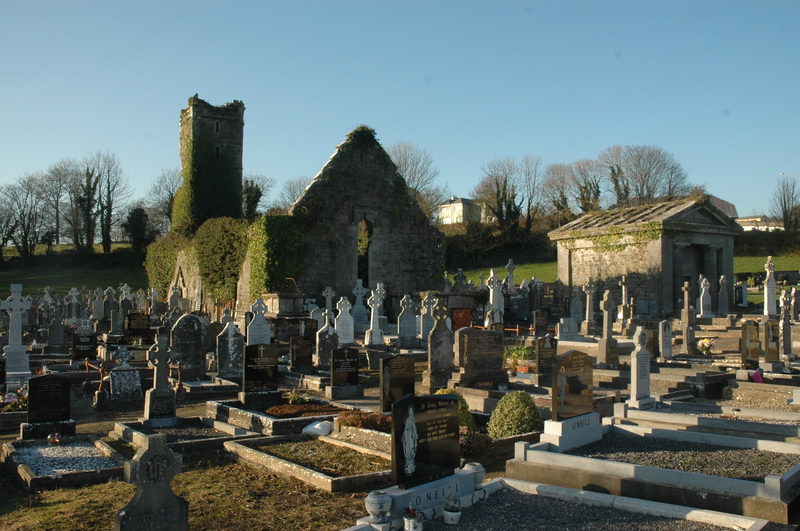 In Kildysart we will visit the cemetery and have a moment of prayer after 11am Mass on Sunday 4 November. Mass for the Feast of All Souls (2 November) will be celebrated in St Michael’s Church at 8pm. A November Mass of remembrance for all our parishioners who died during the last year will be celebrated in Kildysart on Sunday 25 November at 11am. In Coolmeen/Cranny parish we will visit the cemetaries on Sunday 18 November. Our moment of prayer will take place in Cranny cemetery at 3pm and in Kilfidane cemetery at 3.45pm. Mass for the Feast of All Souls (2 November) will be celebrated in Cranny Church at 10am.